Spring showers: why do earthworms emerge in the rain? As the soils begin to warm up this spring, and plants come back to life, earthworms are also becoming active after a long winter hiding from the cold. 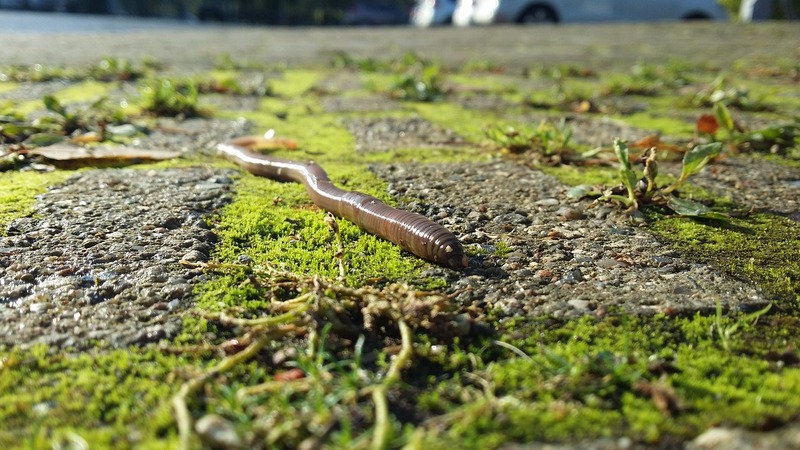 With the recent warm, wet weather, you may even have come across earthworms on pavements after a heavy rain. Usually earthworms are lothe to come up to the surface during the daytime, as they are sensitive to ultraviolet light and rapidly loose moisture in the sun. They are also more visible to predators when they venture above ground, so this can often leave us pondering what on earth they are doing on pavements after a downpour. There are several popular theories why a heavy rain storm would bring earthworms out of the shelter of their burrows, exposing themselves to the elements and predators. One longstanding theory is that earthworms surface after rain to escape their water-filled burrows. This theory has been quashed by researchers who have found that earthworms can actually survive for several days emerged in water. Earthworms actually require moisture in the soil to breathe through their skin. Another possible explanation is that the pitter-patter of raindrops is similar to the vibrations of a burrowing predator, like a mole, in the soil. Earthworms surge to the surface to avoid danger from below. Humans also practice luring earthworms to the surface using this technique by creating vibrations in the soil; this activity is called worm charming. It’s also known that earthworms come to the surface to mate under the cover of darkness but it’s thought that there is something else driving them above ground in the wet weather. Scientists think that wet surroundings are the ideal terrain for a worm migration. This allows them to move to new areas, outweighing the risk of hungry birds or becoming marooned on a pavement. Now that spring has sprung, this is the ideal time of year to explore your garden soils and become part of a nationwide effort to map soil health.